Nabakalebara is a unique feature ofthe SreeJagannath Temple tradition. It is a ceremony thatfalls once in intervals of 8, 11, 12 or 19 years, being calculated on the basis of the Lunar Calendar. The word “Nabakalebara” means ‘New Embodiment’, signifying the process where the wooden idols worshipped in Sri Jagannath Temple are replaced with new ones. The year of Nabakalebara is arrived at using astrological calculations, and it can fall after 8, 12 or 19 years, depending on the astrological almanac. That year in which the Asadha month falls twice within one year is a Nabakalebara year. The idols installed in that year continue to be worshipped upto the next Nabakalebara. The ceremony of Nabakalebara starts on the 10th day of the bright fortnight of Chaitra (usually in the months of March/April). On this day, a party of priests consisting of different categories of servitors of the temple( like the Brahmins, the Biswakarma carpenters, Rajgurus) sets out in search of the suitable neem trees( ‘Daru’) from which the new idols are to be carved out. This quest for the trees is the first phase of Nabakalebara ceremony, and is called ‘BanayagaYatra’. Once the Darus are located, they are brought to the temple by the Banayaga party. They are cut, loaded onto pull carts (‘Sagadi’) made of Tamarind wood and dragged all along to the temple from their source by hoardes of devotees. Depending on how far away from the temple they are located,they are brought into the temple over the next two months and kept at ‘KoiliVaikuntha’ inside the temple for carving the new idolsout . The trees enter the temple before the ‘Deva SnanaPurnima’, held on the full moon day of Jestha (May/June). This day is the last Darshan of the old idols. During the next 45 days, the new idols are carved out, the Life Substance transferred to them ritually, and the old idols are given ritual burial. The next Darshan of Sri Jagannath in the temple will be after this period, on the day of ‘NaubajaubanDarshan’, where it will be the newly carved idol that appears before the devotees.The age old Nabakalebara ceremony has been held eight times in recorded history- in the years 1863, 1893, 1912, 1931, 1950, 1969, 1977 and 1996. The ninth Nabakalebara falls in 2015. 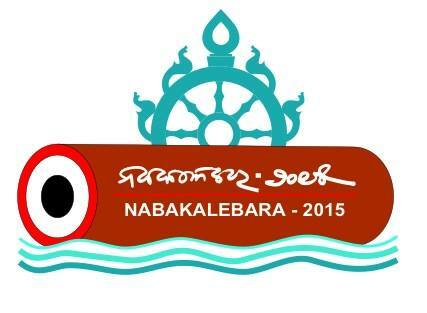 District Police, Puri is engaged in making flawless arrangements for the first Nabakalebara of the millennium.